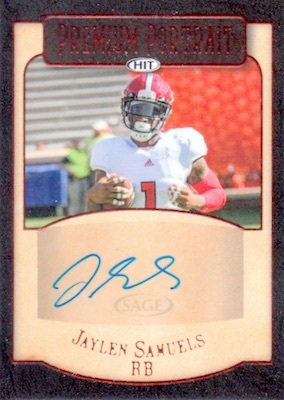 The second installment of the year, 2018 Sage Hit Premier Draft High Series Football provides even more 2018 rookies expected in the NFL. 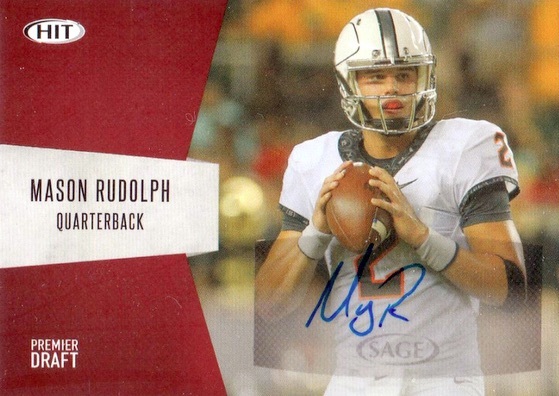 Similar to the first run, or Low Series, High Series includes 12 autographs per hobby box. 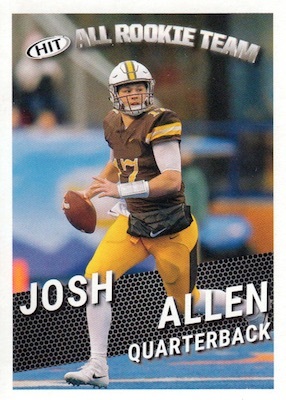 The 2018 Sage Hit Premier Draft High Series Football checklist features a base set for top incoming players, plus the five-card Aspire, which includes quarterback Josh Rosen, and In Focus subsets. 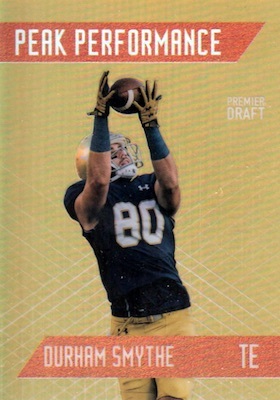 Exclusive hobby base parallels come one per box. The release even looks ahead with the preseason HIT All-Rookie Team. In addition, a game-worn jersey card drops in every case. The Low Series set covers Walter Payton, but the High Series subject has not yet been announced. 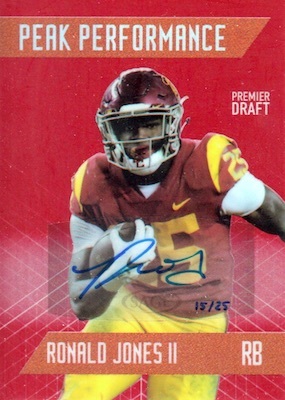 Of course, fans can find multiple signatures in every box of 2018 Sage Hit Premier Draft High Series Football. There are standard Base Autographs and the Gold Level Autograph cards that are numbered to 250 copies. Other inserts include signed Peak Performance Platinized and Premium Portrait. Most numbering continues from Low Series. PARALLEL CARDS: Blue, Gold, Red, Silver. VERSIONS: Black, Red, Gold #/250. PARALLEL CARDS: Red #/25, Blue/Silver #/10, Gold #/5, Cracked Ice 1/1. PARALLEL CARDS: Red #/25, Silver #/10, Gold #/5, Blue 1/1. A lot better than the Low Series from what I can see! Still wish it could have a bigger base checklist though. You can’t get much weeker than this set, The 2018 Sage Hit set is dedicated to rookies and this one doesn’t have Darnold, Mayfield or Saquon Barkley in either the first or second series, But it does have a card of a quarterback from Texas Tech who wasn’t even drafted. REALLY!!! The “In Focus” cards from the Blaster Box of the high series I bought is not matching up with the card numbers that I got compared to what’s listed here. For instance, Bradley Chubb is card no. 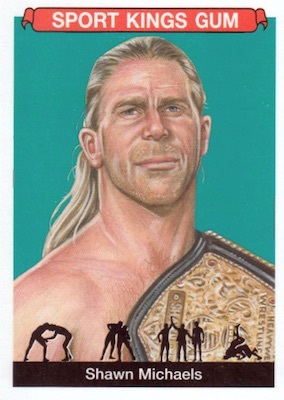 117 on the back of my card & Mark Andrews is no. 115. They are listed as card nos. 117 & 122 accordingly from the lists here. Marcus Davenport is another one not matching. I have card no. 110 while here he’s listed as card no. 117. Thanks. Thanks for letting us know, Tony. Looking at this online, the numbering appears to be a mess. I will see if I can track down an updated checklist. 2018 SAGE HIT PREMIER DRAFT HIGH SERIES SEALED HOBBY EDITION BOX 12 Autographs!